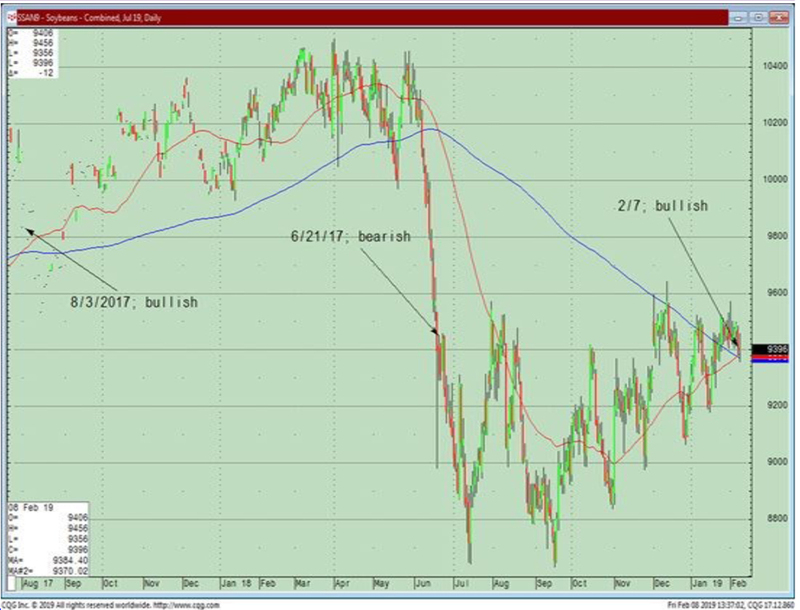 A bullish long-term signal occurred for Soybeans last week, according to James Dima, technical analyst at Marex Spectron. 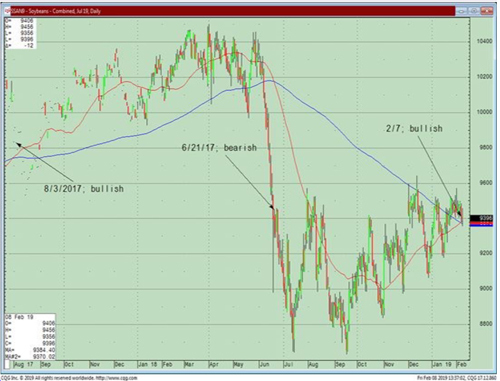 Looking at a Chart of N19 Soybeans, Dima points out that on 7 February the 50-day moving average (red line) closed above the 200-day average (blue line). This, he says, is a bullish signal for the medium to long-term; the last time it occurred was on 3 August 2017 just before prices rose around 7 percent over the next eight months.